I had the privilege of going to the northern Kurdish area of Iraq in early 2016. The KRG (Kurdistan Regional Government) area of northern Iraq is a unique and important place in the Middle East. Situated just to the east of the volatile areas that ISIS controls or has recently controlled (including Sinjar, Mosul, Qaraqosh, and more), Kurdistan has both fought back ISIS with their Peshmerga military and they have absorbed hundreds of thousands of IDP’s (Individually Displaced Persons / internal refugees) that have had to flee the cities noted and more when ISIS came into those regions. 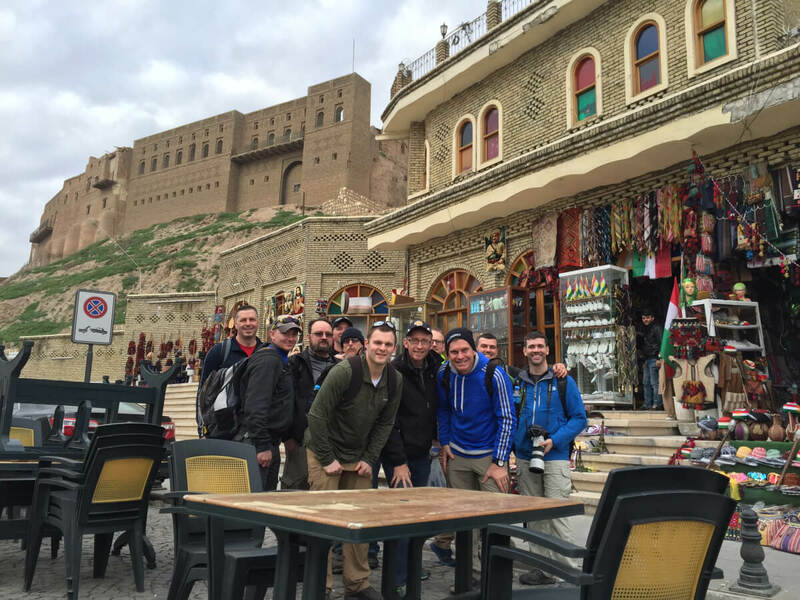 My goal here will be to outline the hope, promise, and perspective that I found from my first-hand visit to Erbil and a few surrounding areas in the northern Kurdistan area of Iraq. For those wanting more detail, read on about my visit. One of my favorite things about visiting was hearing people’s stories. It was both a joy and also painful to hear what they have endured. My heart hurt and I wept as I heard stories of horrible decisions needing to be made about leaving loved ones, and of leaving everything behind. When I mean everything, I mean everything. Leaving businesses, jobs, bank accounts, possessions, and having sometimes less than 60 minutes to find family and flee with up to 12 people in a sedan before ISIS came into their community. One such story I heard that moved me was from my new friend Saad. Saad is a young man from Sinjar who was in graduate school in Sinjar. He was in the molecular biology field and had hopes of being a university professor. His family and their community knew that ISIS was getting close but yet they held out hope that they would be able to remain. One morning, however, a neighbor knocked frantically and told them that they must flee as ISIS was coming in now and that they were killing those who would not submit to their form of Islam. Saad, his parents, brothers, and the rest of their family had 30 minutes to gather, load into a car altogether and flee. He’s never been back. The amazing part of the story is not the journey of many hours trying to cross Mt. 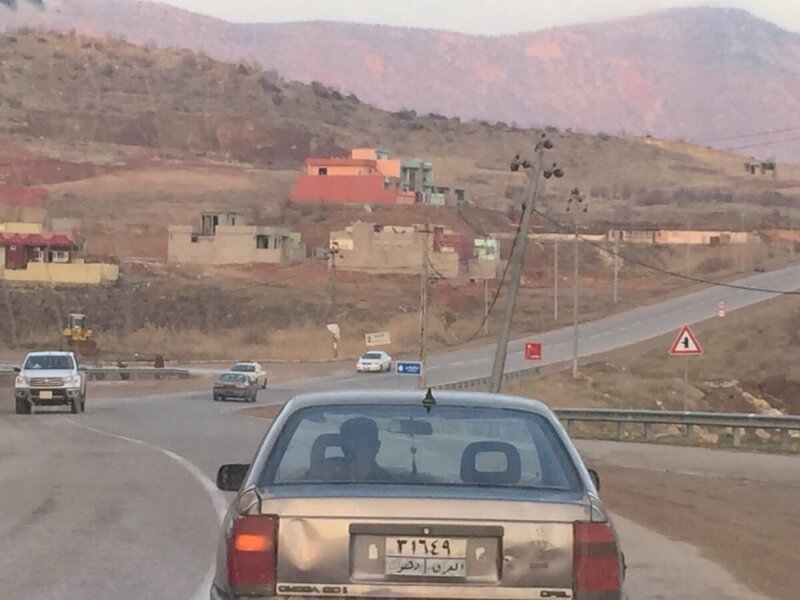 Sinjar in heavy traffic to make it first to Duhok and then on to Erbil. It’s that Saad is not angry. He’s not angry, and in fact he is full of joy. It’s a joy that comes from Jesus and is not human-made. Saad was a Christian before but was on his own path of professional development to be a professor. Since leaving everything and needing to flee he has been changed. In Erbil, under the discipleship of the Erbil CMA church he has felt a clear leading to work in ministry. He wants to attend seminary and study theology with hopes of becoming a pastor. Right now he is serving. 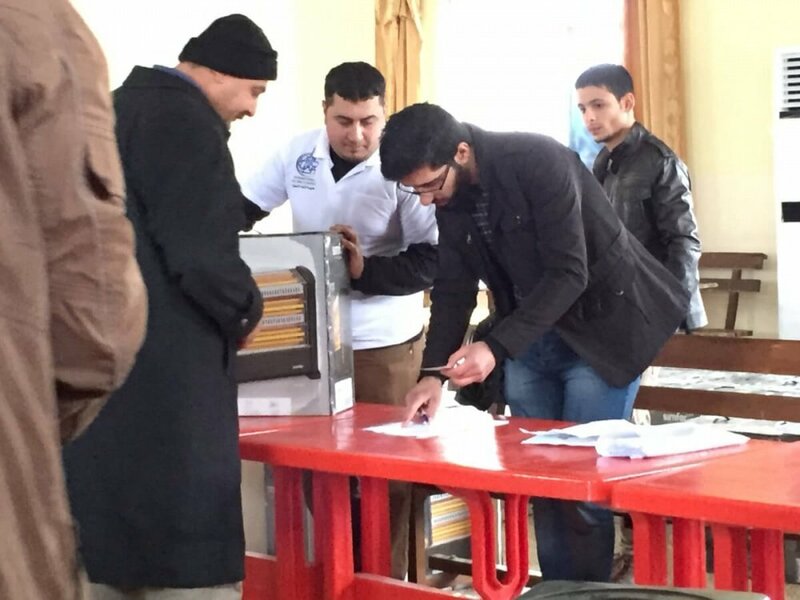 He coordinates humanitarian aid from agencies through the church to IDP’s in great need across Kurdistan. 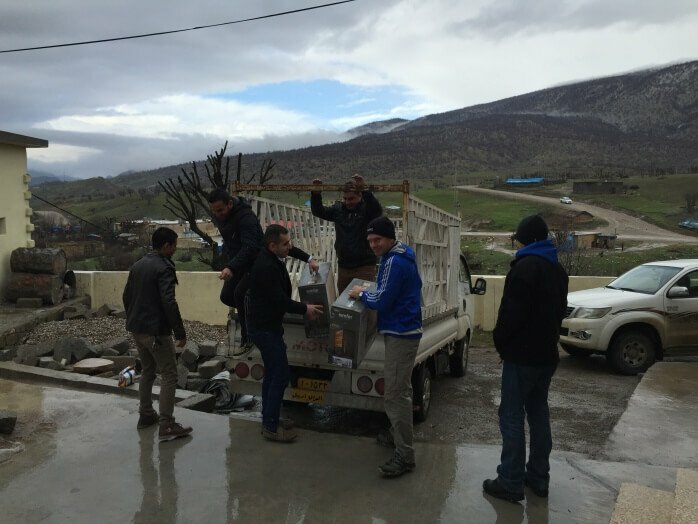 While I was there, I had the joy of accompanying his team from the church to give out heaters to a community in the mountains north and just a little east of Mosul. Saad is a story of the hope of Christ overcoming the evil of ISIS. He has a life calling clear and he is serving even now in any way he can. I met Rabee at the Erbil CMA church. He had come in for a meeting with church leaders and I happened to introduce myself. As we talked I asked questions and Rabee freely answered. Quickly we went deep as he shared his story with me and it’s a story that is not uncommon from others I heard in Iraq. It’s a story of tragedy, renewing of faith and pursuing Jesus, hope, and new mission. 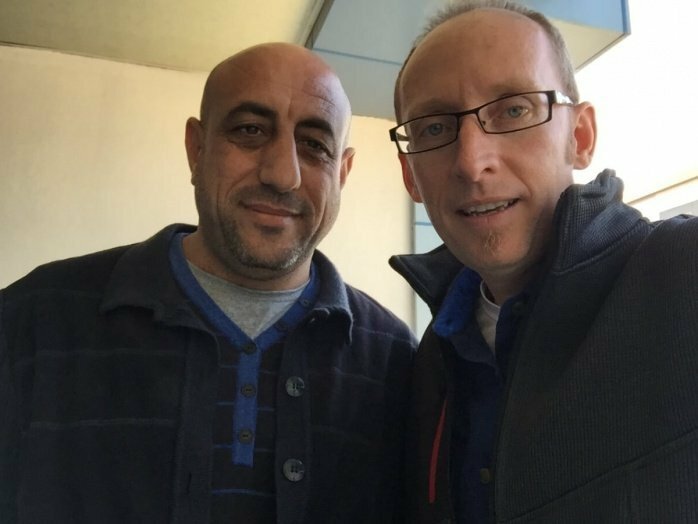 Rabee shared with me that he had lived outside of Mosul in a neighboring city. He was a veterinarian with an active business, employees, and busy schedule. He attended church but noted that he was more of simply an attender because his work kept him to busy. When ISIS came in, he was forced to flee and leave everything. Everything means his business, his 2 houses, his bank accounts, and more. His family fled with others in a car and ultimately they ended up in Erbil. It was a chaotic time of trying to find out where the next meals were going to come from, where they could stay, what they would do and more. In that time period he was connected to the Erbil CMA church. Through the church and his own searching he was renewed in a stronger and active faith in Christ. What had been overlooked now became central. Stripped of every other comfort, convenience, and distraction, he sought and found Jesus and Jesus gave him new purpose and mission. Rabee is now working for the church in their effort to help other IDP families just like his. 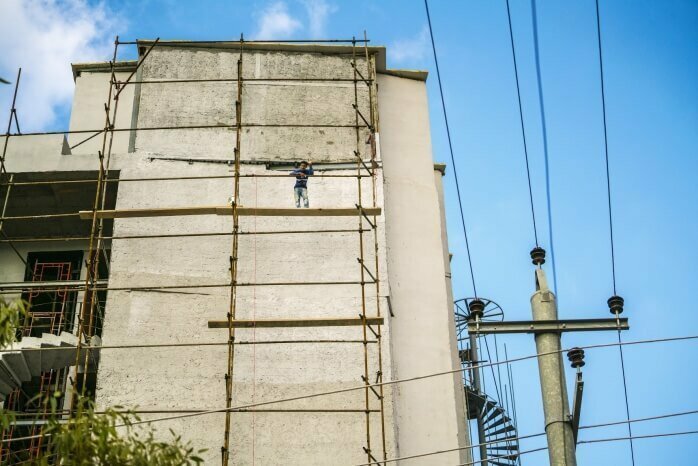 He oversees an apartment complex completely filled with others who fled ISIS, over 130 families in his apartment building. He oversees them, ensuring they have their needs met and caring for each family. He also oversees 3 other managers like himself who themselves oversee an apartment building filled with IDP families. Wow. Incredible testimony of a life changed and out of evil coming good. How many of us can relate to being “too busy” and “consumed with work” so that we miss what Jesus has for us today? It was a privilege to meet and become friends with Rabee in Erbil. 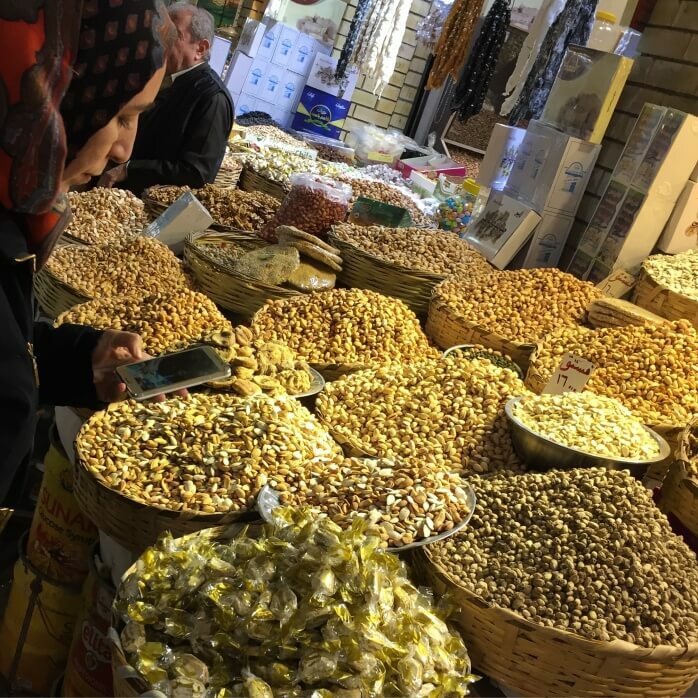 Erbil is a city on the move! Erbil was able to bring in hundreds of thousands of IDP’s and continue to provide services and expand as city. 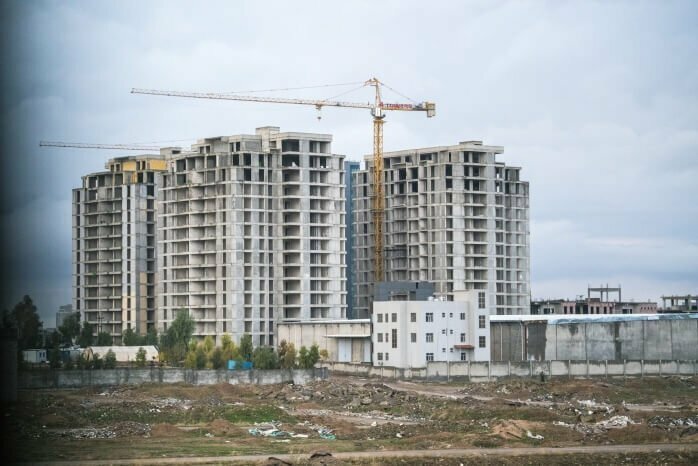 Everywhere you looked you saw buildings going up, highways being built, on and off ramps being added to the interstate highway system and new communities under development. The capital of Kurdistan, Erbil, is a stable and rapidly growing city of well over 1 million people. It has absorbed so many people from those fleeing ISIS controlled areas and also those fleeing the dangers of Baghdad. It’s a tremendous mix of “old” and “new” coming together with the ancient Citadel being the foundation of “old” and new western style malls and stores being the “new” that is coming in. 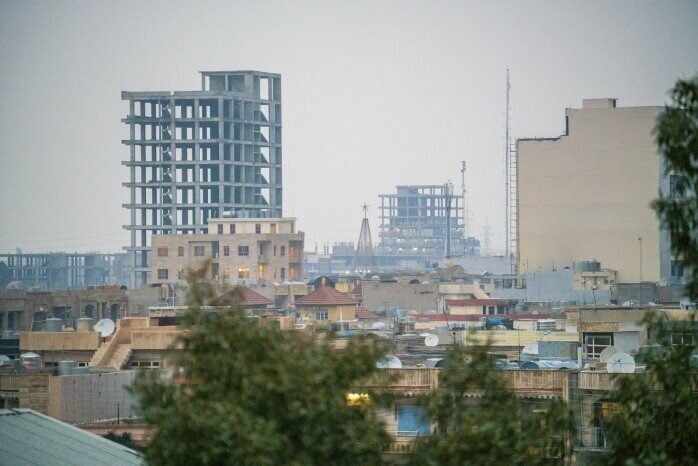 Here’s some pictures of the building and infrastructure in Erbil. Many, many of these new buildings in process! What stands out to me is that Erbil is in place just for “such a time as this.” It’s a haven and safe place where many displaced persons and families are finding new life. With ministry happening like I saw through the Erbil CMA church and their body, people are being cared for and helped. 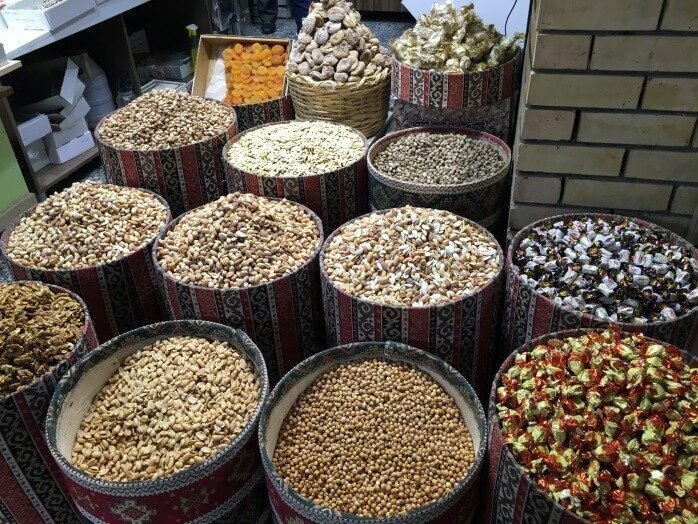 With no regard for whether those in need are Christian, Muslim, or other, the church is being the hands and feet of Jesus to provide for physical needs of food and shelter as the ministry agent of many relief organizations. What we are giving through supporting the Grace4Iraq work of Grace Community Church is being used well and with lasting results. In addition to material support the body of Erbil CMA church is ministering to the heart and soul. They are doing outreach, they are discipling, and they are loving people. I witnesses time and again great stories of care, and stories of those who were once IDP’s themselves now serving and helping their fellow brothers and sisters. It was powerful. 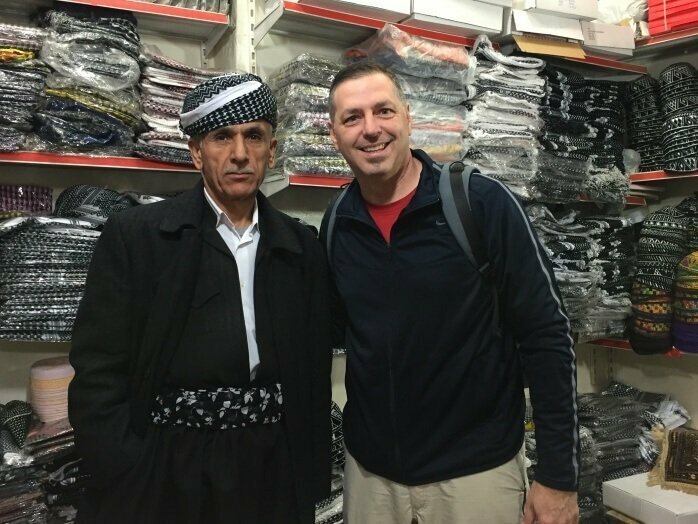 I say the setting in Erbil is “such a time as this” because many hundreds and thousands of those being cared for and discipled now will ultimately move on. They will get visas to settle in other nations in the Middle East, Europe, and North America. They are a unique missionary force that has been discipled and formed through this difficult time of ISIS and yet have been transformed and are now extending the love of Christ across the region. Amazing! I’m thrilled to have sat with them, thrilled to call them friends, and thrilled that I have the opportunity to be a small part of their lives. iGive Global will continue to support the Grace4Iraq mission and the Erbil CMA church. The ongoing needs are great and ongoing support to help families as they try to find their “what is next” is essential.